Katie giggled and splashed her horse. "You know," a voice came "it's not safe for a girl to be out in the forest alone this time of night. Especially when she just recently lost her bow." Katie turned to see a elf....his yellow eyes cut threw the darkness around them. Katie stood still then looked at ranger's saddle. A bone knife sat in it's sheathe... tied to the horn of the saddle. It was made out of a dragon's tooth... with a deer antler for the hand. The weapon was so sharp that it could cut flesh with the lightest graze. Katie swallowed then narrowed her eyes. "I've lived in these woods for years.... I know my surroundings..." he eyes flicked to her knife again. she looked for her black cloak... the secret to her stalking. Put that black thing on and she will disappear. Groggily, Arsia tried to open her eyes, but a thunderous pounding in her head prevented her from doing so. The Pain was so unbearable that she passed out, again. A pox on old age. Veran was hardly in the same shape as he had been in his youth. Though there was another person in need of help however unwilling to accept that person might be, he could only hope the barbarian's rage had been exhausted. Then again it was a barbarian he was about to confront. A tap of his staff against the forest floor and another blink spell was cast, eliminating the concern in regards to his elderly state. He appears at the base of the hill some five feet away from the woman, leaning on his staff as he assessed Arsia's condition. Veran was no healer, nor was he medically inclined in any way. The only healing spells he knew was one to treat minor cuts and scrapes and one other that not even the Elders knew that he knew. He sighs and approaches, removing his water skin from his belt and crouching. "Well finding you was east enough...now how to wake you up and avoid a confrontation?" "I've lived in these woods for years.... I know my surroundings..." she said and then dashed for her knife. Seymore let out a chuckle as the girl ran for her knife. He drew his silver long sword and rested it on his right shoulder. He looked down a moment and shook his head, still laughing in a deep voice. He looked up to her. She had terror on her face. "Now now." He said as he tilted his head. "There is no need for that. I come in peace." He was about ten feet from her. She was very young and very beautiful. She was lucky that Seymore had found her before anyone else did. Her stance was amateur and needed work. The horse had similar look on his face, but Seymore was not too good at reading beasts. "Come now. Let us retrieve your bow. If we were to engage in combat, I would very much like you to be at your best." He smiled, in much the same way he had been. "My name is Seymore, I am an Eldrich Knight. It is nice to meet you." He turned and waved the girl to follow him. Katie missed her horse and fell into the water. The girl flipped back her head and sat in the water. Her long black hair stuck to her face...her blue eyes narrowed though. she looked at ranger and glared at him. don't trust anyone.. She thought to herself. "Why should I follow you..." she said still standing in the water. Ranger looked back at the man, he flicked his ears then trotted over to Seymore. The stallion looked at the elf then back at Katie. "No Ranger, come here" the girl said with worried tone. ~Yes Katie~ His eyes where bright. "no" she started to walk out but then stopped. ~Yes~ he turned and made his way to Seymore. The horse gently nudged him with his nose. ~Hi~ he seemed to say. Arsia was awakened by a voice, she jolted up. Her head felt like it was giant bell that was just rung, she quickly brought her hands to her head. Arsia felt something stickly and rough on the side of her head, she concluded that it was more of her blood, but it had dried. Arsia looked to her hands and body, she was incredibly filthy and had small wounds and cuts scattered across her. Arsia slowly hugged herself tight as she finally looked towards the sound that had awakened her. A Magic User!, she exclaimed to her self. She recognized those colorful robes anywhere. Usually missionaries were sent to her Clan, most had one or two Magic users with them for protection. She knew they were dangerous so she always was pleasant and cordial with the Wizards, but she hardly conversed with them. Arsia picked her next words carefully. "My Name is Arsia Scora, And I... uh... um...need help." Relented Arsia. The words tasted foreign to her, she couldnt remember the last time she had pleaded for help. She couldnt even remember how she got in this mess, it felt like she had a gap in her memory. "I don't remember how I got here, to this land." When the woman awoke on her own Veran breaths a sigh of relief, offering the water skin to her. He trails a hand over his head, standing and removing his cloak, leaving him in a red tunic and breeches, and handing it to the woman. "First thing, cover yourself. Seems it will be a cold night." He says with a slight smile. "I would not know how to help in terms of figuring out just how you got here, but I will do as I can. For now, we should get back to town before the night unleashes whatever terrors it has to offer." He adds, taking a look around the area. There was still the matter of finding the other girl who had taken off on horseback. She was probably miles away by now, however he did have her bow. Hopefully she would realize it and come back for the weapon. "When you are able, we will move." Seymore reached up lightly brushed his hand along the horses neck. It seemed pleased to meet him. "Well hello beast. It is a pleasure to make your acquaintance." Seymore reached into his alchemy satchel and pulled out a few berries he had gathered. They were a tarty mix, but they were fresh and delicious. He looked to the girl with his confident grin. "You shouldn't." He said pleasantly. "You shouldn't trust anyone, but you do want your bow back. Correct?" It was at that moment he saw them. Beastial eyes staring into the clearing. Sets of them behind the girl. He dashed forward and pushed the young ranger to the side. He threw his sword back and thrust as a large tracker leaped from the brush. The tip of the silver blade pierced into the monster's chest and punched into its heart. The tracker was dead mid leap, but that didn't stop it from coming down onto him. It had to weigh at least 3-400 pounds. Its massive weight forced him to the ground and he struggled as he pushed it off of him. He withdrew his sword from the dead tracker's chest as he muscled it off of him. As he pulled himself up he could see two more appear from the brush. He would have his hands full with this one. Trackers never travel alone. Katie knew this well. No fear and always seek revenge. Ranger was chewing on his berries, making funny faces from the tartness. He launched his head up when he saw the elf kill the wolf- lion animal. God he hates trackers... But not more then butterflies! Katie looked at her horse, she could get on him.. Ride away, but what type of person would she be now? Katie looked at her knife, it was gonna have to do...The girl started her way over when a black tracker jumped in her way. He narrowed his black eyes and lunged for her. Katie quickly turned, twirling out of the way. As the beast turned, the girl got a distance. The tracker licked his lips... Saliva dripped from them. He circled her and she followed him. Never let a tracker go behind you. The best then ran towards Katie. She simply just smirked then put her arm back and waited. The animal jumped at her. Katie gripped her knife and as the jaws came towards her face, she pushed her knife into the Tracker's throat. Right threw it's wind pipe and severing the main vain. Arsia moved to stand, conscious that her feet were badly cut, but when she placed them upon the ground, she noticed no pain. Confused, Arsia examined her feet, and saw no cuts or wounds, just a long thin scar on the heel on each foot. She was a fast healer, but not this fast. The Wizard must have healed her. Arsia smiled as best she could as she covered herself with the mans cloak. The cloak was reassuring, but she was nowhere near cold. Her body was unusually warm, unnaturally balmy. Something was wrong, but she couldn't put her finger on it. Maybe she had a fever. "Lead the Way Wizard." She whispered casually, puzzled by how weird that phrase sounded. Veran set to orientating himself. The way back to Dorin's Ridge was obviously the way they came, only problem was once they reached the top of the hill Arsia had fallen down he had no idea which way to go. His face twisted in a puzzled expression before he sighed and held his hand out, palm up. He whispered softly in the Celestial tongue and a white light rose from his hand before moving off in the direction of the town. His features shift from confusion as a light smile tugs at his lips. "Right this way" he says before stepping off back up the hill, following the summoned willow-the-whisp. As he reached the top however, a rustling sounded accompanied by the creaking and groaning of branches that weren't supposed to move. "Just my luck" Veran's frustration was obvious even as a treant uprooted itself not fourty feet from him. Seymore side stepped as another tracker made a leap at him. It was close, but it didn't manage to damage Seymore's leather. That pleased him, almost as much as his counter attack. Seymore cast a magic weapon spell. He ran his hand over his blade and it began to glow with a purple color. Seymore gripped its hilt with both hands and with a wide swing brought the silver weapon down on the tracker's neck. It sliced clean through the beast, severing its head. Seymore twisted and caught glimpse of the fourth and final Tracker. The one which he hadn't noticed when the animals originally attacked. It was behind Katie, who to Seymore's surprise had just slain the third tracker. It stalked, ready to make her a meal. Seymore could tell it was ready to pounce so he threw his hand up and whispered. He cast a scorching ray spell. A flaming red beam shot from his hand and burnt through the tracker. There was a cauterized hole clean through the monster. It flopped over and collapesed. Seymore stood up. He flicked his sword to remove the blood running down its edge. The swipe removed most of the blood and for what remained Seymor pulled out a handkerchief from his coat and wiped the silver clean. He then slid it into its sheath and turned to face the young girl. "I am sorry. I never asked your name." Seymore resumed his previous demeanor. His smile once again stretched across his face. Katie turned around and had a stance. her face fell into her face and blood dripped from her chin. Katie looked at Seymore, her eyes still narrowed. "I am sorry, I never asked your name." he said with a dashing smile. Katie wasn't buying it. her eyes remained narrowed. "Take me to my bow, and when it is in my hands, then I will tell you my name... " she looked at Ranger. Who stood still, his ears perked and his eyes wide. "That's Ranger tho" she had a wide gap between them. She carefully went around the male elf. her eyes never leaving his till she got to her horse. Katie took the knife's sheath and tied it to her thigh. She placed the knife in it's carrier. Ranger nickered to the elf. Katie put her foot into the stirrup and got ready to hop on when the stallion started to walk over to Seymore.. Katie notice he was going to the elf.. She quickly got her foot out of the stirrup and stood where she was. It was clear that she didn't like stranger.. or people in that fact. Katie studied him for bit. He was tall, young, in his 100's possibly. His yellow eyes looked friendly with spark of something else, hmmm he was handsome...Katie shook her head at the thought. Stop Katie. She then walked over to the pond and washed her face off. She rinsed her hair from the sticky blood. She braided it loosely then turned to him once more. "You want to lead the way? Or do you want me to?" she said softly. Arsia was still uneasy about the wizard. Wily old pervy men she thought to herself, but the Man before her did not so much as leer upon her naked body. Maybe he was different. Her thoughts were intruded by a loud snapping noise. Thick branches and roots groaned as they started to move and gyrate. Arsia was aghast. "The Trees!!!" She yelled, her mouth open in protest. She couldnt believe what see was seeing. She must have really hit her head hard. She turned to the Wizard beside her, who had a look of recognition in his eyes; he'd seen these before. An unusual warmness passed through Arsia, as if her body was sending her a Warning, an Alarm. Arsia thought her Fever was getting the best of her, but she did not feel dizzy or lightheaded at all. In fact, her body was oddly rejuvenated, she felt a renewed strength, and a strange energy she had never felt before. "I have to ask Wizard, are these friendly?" She questioned. She was hoping for a fight. A cacophony of bark and wood filled the air, aching against the ground as more and more trees started to uproot themselves. The entire forest was moving, shifting against the darkening sky. Some of the trees even seemed to groan and screech at the duo, Their presence was not welcomed it seemed. Arsia could only assume that they were indeed not; Friendly. Veran had fond memories of when he would walk the forests with these very creatures. Though lately everything had changed for the worse. The land was twisting and growing corrupt to where even the trees would lash out at old friends. He sighs once more and readies his staff, the motion being nothing more than a tightened grip on it. He doesn't look towards the barbarian next to him even as the treant turns to face then. "I am afraid not." He says in a low voice. The next motion was sudden as the old man thrusts his staff forward, a cone of embers bursting forth from the tip and catching into small flames as they impact against the treant's barky flesh. "You want to lead the way? Or do you want me to?" Seymore smiled and placed his hand on his sword. He often liked to rest his arm on the blade. He meant no threat by the placement of his hand on his weapon, but many took it as a defensive display. To Seymore it was no more than a place to rest his arm. He looked to the girl, who had elected to keep her name a secret, but oddly told him the name of her horse. He looked to the horse. Ranger was his name. He was friendly enough. This girl clearly shared a bond with the animal, similar to the bond Seymore shared with his sword. It was a magical bond. One forged in the web of destiny. Seymore believed that all things had a purpose and a role to fill and bonds like this girl and her horse were no exception. He smiled "I will lead the way." He began to walk "You should be excited. Adventure is good for a young ranger. Helps you grow and gives you experience." He thought back to the days when he began training with the knights. He was apprehensive when it came to volunteering for his first hunts. He was very much scared of the world beyond his village. Many of his mentors encouraged him to attend hunts, but Seymore was more inclined to study magic. It was safer and less taxing physically. Fear of the unkown is a powerful thing, but no progress would be made if no one ventured out. This girl would learn that lesson soon; For Seymore believed that the quest she was about to begin would be life changing. Seymore felt that he too was in for a similar change. Katie saw him smile at her. Did she say something funny?
" I'll lead the way" he said. Katie nodded then stepped out of his way as he walked by. She sighed and looked at him. Interesting he was. Ranger nudged her shoulder and curled his lips into a smile.
" stop..." Katie pushed his head away playfully. ~you know ~ ranger lifted his eye brows and his smile got bigger.
" Ranger... Seriously? Immature." She took his reins and began to walk after Seymore. Katie studied a man by the way he walked, talked and his actions. He seemed friendly. Kind? Maybe? Should she really trust him? "No" she whispered. Trevor taught Katie that no matter how nice they may look, they could be tricking you. What if this man was leading her somewhere? What if he planned to harm her. She looked at ranger, who was lazily walking beside her. He seemed calm about it. Should she? "I am Afraid not." Came the Wizards reply. A smile cracked its way across Arsia's face. That's all she needed to hear. Arsia was not shocked at the carnage the Wizard had just unleashed. A cone of flames ascended upon two Treants, as they screamed in pain as the cackling fire incinerated them. All that was left of them was ash; ash and glowing embers. The other Treants starred at the Wizard and Barbarian; hesitating, not moving. It seemed as if they were stunned by how quickly one of their own was so suddenly ended. The silence was broken by an unusually large moving tree, at least double the size of the surrounding Treants. It gave out a deafening roar that shook the leaves and branches of the other Treants. This must be the Superior Treant. Arsia had found her target. She sprung into action, her legs gracefully closed the distance between her and the Daddy Treant. Her body was screaming in ecstasy, It wanted more. More. The wizard's crimson cloak hugged her, as if holding on for dear life. The nearly 25ft tree before Arsia seemed to chuckle as it saw the Woman running directly at him. It let out a loud guffaw as it swung one of its massive branches toward Arsia. Leaves and branches hurtled through the air at Arsia, who at the last moment leaped into the air, her left fist cocked behind her. Arsia flew through the Air, aiming directly at the Large Treants Face, if you could call it that. She slammed in to the Treant, fist first into its nose. Splinters and wood chips stained the sky, as Arsia's Fist was elbow deep in the Treants Trunk. 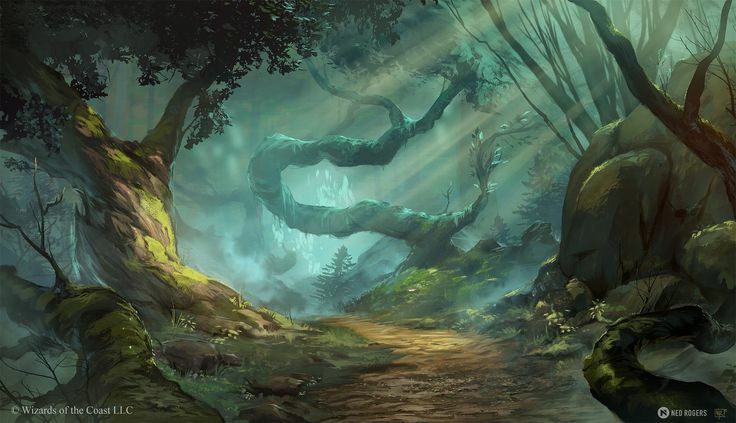 With Arsia's free hand, she gripped the mouth of the Treant and continued her barrage of punches. The Treant swayed back and forth, with every jab creating a nice sizable crater in the tree. Arsia felt her fists start to warm quickly, and soon enough they began to glow red hot. Her punches not only cracked the Treants Bark, but now they started to singe and burn the Treant. The Tree roared in painstaking protest. Arsia was nonplussed for only a few moments, She had no idea what was going on with her hands, but that didnt stop her from finishing the fight. The panicky screams of the Treants brought her back. The Large Treant started to rock backwards, so Arsia decided to speed up his process. She put both her hands together into a large bright starry fist, and with all her Barbarian might, brought it down upon the battered Tree. A loud SNAP was heard as the Treant split in two, Arsia and the bottom half started to tumble to the ground. Arsia Roared in Victory as she plummeted to the forest floor. Fire. Heat. Cinders...All things fire against wooden beings. It all seemed unfair. But then again, Veran had had about enough frustrations and complications for one night. As he lifts his hand, preparing a fireball spell to finish the remainder of the treants, the Elder Tree had decided to make an appearance. Veran adjusts the aim of his spell, however his hand lowered as the savage woman charged out towards it. "Like teaching and infant to cast spells..." He mutters with a slight chuckle as Arsia pummeled the Elder into a splintery pulp. A pair of the remaining treants seemed to find their courage as the woman who brought their Elder down with her bare hands roared in victory as the barbarian plummets back to the forest floor, he descent slowed by a feather fall spell. They were met with a similar end as a wall of flames spell was cast to block the creature's paths, but the slow and clumsy trees were caught up in the blaze regardless. It seems the small skirmish was over with, good. The only thing to worry about now was what exactly the woman had done. He could feel the magic, though it was different somehow. It would have to wait until he was sure she would join his cause. Seymore retained his smile. He did not want the girl to think he was a threat. She eyeballed him, but Seymore was used to being stared at. He was a pale elf, and his Eldritch Knight garb was fairly intimidating. Seymore found that people often stared at him, but he allied himself with the forces of good, most of the time. He lead them back to the tavern where he had began. The commotion had ceased and the village was winding down. The people were returning to their homes and preparing for bed. Seymore enjoyed this time of night. As an elf he did not sleep. He only requires four hours of trance a day. It is this simple elf trait that extends his days by an eighth. Seymore found that his investigations always went best at this hour. He looked at the girl. She was really young, but she had a wisdom about her. She was attractive and had an air of innocence about her, but most importantly she had potential. Seymore saw it in her. In all his years as an Eldritch Knight he had never taken a pupil, but perhaps it was time. Among the Eldrich Knights Seymore was called the White Wolf. Partially because of his pale skin and yellow eyes, but mostly because he preferred to hunt alone. "We must wait here. Your bow shall come to us." He said calmly, placing his large hand on her shoulder. Katie followed the strange man. Her yes where lowered as she was thinking. A couple of black strains fell infront of her face. They soon came back to the tavern..
" we must wait here, your bow will come to us." He turned to her, still smiling. His hand was placed on her shoulder. Katie looked at him for a second, her eyes widen a bit..a gentle touch... She then collected herself and placed her hand on his and pushed it off of her shoulder. Bet hewas called a wolf of some sort, Katie thought to herself. She walked in front of him and looked around.
" tell me... Um... Seymore? " she started then bit her tongue. Bet not to get personal... Or ask questions.
" never mind.." She pushed back a strain of her jet black hair. She undid her braid an let her log hair fall down. She turned around and looked at the elf. He was handsome.... Young but in his 100's. Strong and tall. She narrowed her eyes and hook her head and paced back and forth. Ranger bobbed his head and walked up behind the male and nudged his back. He was really fond of this man. And he also liked to tease Katie... Especially now that she could have a friend... A guy friend. Ranger snickeres to himself. She had used nearly all of her energy to defeat just one Treant. She was sore, tired, and incredibly filthy. She shuffled behind the wizard as he led the way out of the forest. A loud low grumble emitted from Arsia's stomach, she was also undeniably famished. She couldn't remember the last time she had a proper meal. She wrapped her arms around her stomach, but stopped when she caught a glimpse of her hands in the dim moonlight. They were a deep, deep charcoal black. Confused, she brushed her hands upon her Cloak, hoping to remove the substance from her hands. Arsia found that the Blackness was not soot or dirt, and would not come off, even to the most vigorous of brushings. Embarrassed, Arsia slid her hands inside cloak, hiding them from view. Although she had dark bronzed skin, the inky darkness on her hands would stand out immediately. As Arsia was preoccupied with her hands, The Crimson Wizard and her had finally left the Forest and had come upon the small Tavern. Arsia was so absorbed in her problem, that she didnt even notice the Pair of eyes that had been watching her since she left the forest. Just another day and another night on the road. Variel had been laying low as a musician in a tavern in Dorin's Ridge, managing to earn himself enough gold to afford a room each night. His last job had been particularly bold, having slipped into a reknowned noble's home in the middle of the Imperial city. Normally his crimes only warranted a month of hiding but for some reason each town he went to proved to be looking for him until he had finally made it here. He was sitting by the Hearth, strumming away at his lute that seemed different from normal lutes. He wasn't playing for money at the time, rather taking a break so he was seated with his feet propped up on a table, watching those who came in. His attention shifts and locks on an elf, seeming to be a Knight of sorts, accompanied by a young human girl. Interesting enough. A Knight usually had money to spare. He remains in his seat for now, plotting his move. So many questions arose from the display put on by the barbarian woman who now followed him. It would have to wait, however since there were more pressing matters to attend to. Veran remained silent for the remainder of their trip back to the tavern, thinking of how he would replace the Basillian and the young ranger. As he opened the door to the warm tavern he pauses, getting the familiar feeling of multiple magic auras within the tavern. Perhaps he had been followed by the Mage's Circle after all. Then again, this was different. His eyes land first on the bard. He looked out of place for the area, a wanderer perhaps. The other came from elsewhere in the tavern but no telling where. Veran reaches into his coin pouch, withdrawing five coins and turning to Arsia, handing them to her. "Get yourself a hot meal. I will return shortly." He says before walking further into the tavern, eyes scanning for the source of the second aura he was feeling. The girl seemed to be acting strange. She was still young, and it had been more than a century since Seymore was her age, so naturally her body language and tone were largely a mystery. He removed his hand from her shoulder and scanned the tavern. It was amazing how quickly the owner had cleaned it up considering there was only recently blood spattered everywhere by the Basil sword dancer. Few patrons remained. One in particular was a bard who was resting. He stared Seymore down for a moment, but Seymore did not acknowledge him. He stood near the entrance with the girl. "You can get food or drink if you please. My treat." He said pleasantly. He turned to see the red wizard and the barbarian woman from before. She was wearing his cloak, which was an imporovement to her nakedness from earlier. They both looked exhausted. Seymore looked down to the girl who was with him. "Your bow has arrived. Stick close to me." He said. His voice was more stern that time. Seymore approached the wizard. The Eldrich Knights were friendly with the Circle of Magi. This was not to say the Knights did not keep a close eye on the Circle. A group of powerful spell casters was a threat, despite their history of being aligned with the light. To date there had been seven seperate incidents in which the Eldrich Knights had been tasked to dispatch a rogue member of the Circle of Magi. In one incident in particular a Wizard by the name of Leshrac declared himself the Black Wizard and attempted to raise an army of undead to kill the Circle's Grand White Wizard. It was Jared, an Eldrich Knight famous for his transmutations, that went to the Cricle's aid and played a pivotal role in the Black Wizard's demise. Incedents like these warrent a close watch, to the point that Eldrich Knights have taken up permanent post within the Circle's tower. "Hello red wizard. It is an honor to meet someone of your mastery." Seymore bowed, as only a knight would. "My name is Seymore. I am a member of the Eldrich Knights and wish to offer my services." Seymore turned to the young girl "And this young ranger is..." he let his statement trail off.